We are entering an age of audiovisual technologies which all human activities require IT technology. Daily human activity in this day and age are never apart from the name of a Smartphone. Now in the age of the children who are still minors alone can already freely using technologically sophisticated mobile phone. But if we glance back to the past, when we have not know elementary, whose name is the internet. The times now people put the internet as their primary needs. Because without the internet people will be the difficulty in knowing current information. There are also several other reasons people who make the internet as their basic necessities. For example, a person could not be detached from the gadget because he is a businessman and has always made the internet as proximity, could someone also could not be detached from the internet because social media addiction, the other reason is addicted game. Talking about games, it's possible for most people is a nice thing because it can be entertaining and could also be a challenge. Beyond that, the game could also effect negatively to someone. 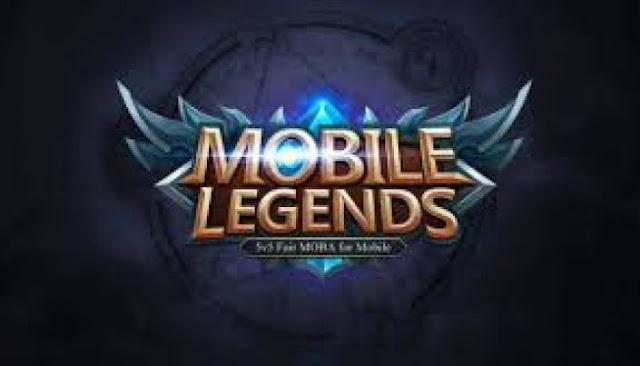 I am confident and believe it 7 out of 10 people who read this paper certainly know or ever heard of what is mobile legend. A mobile game is a Legend in android launched by the company Riot Games designed for smartphone users. This game is popular in the world since the beginning of 2017 and sought after variety among the aged, was no exception. Even a married person who played much of the game. Someone who has felt cool with this game would be more than game for prioritizing things things that can benefit him as an example in terms of learning. There is also another impact, someone will be more individualist or busy with himself. As for the most damaging impact as it had been convened by Business Insider, that there are some things that happen if exposed to blue light radiation is, among others, i.e. damage to the retina. The American Macular Degeneration Foundation has warned that damage to the retina caused by blue light radiation causes degeneration of the macula. This causes loss of central vision and can lead to cataracts. GigaOM quotes a statement from one of the eye doctor who mentioned that she began to see the 35-year-old man has eye cloudy with cataract, just as the people aged 75 years. Really awful impact Blue Ray against the human eye. As for other harms caused, among others, damage the sleep cycle is because blue light disrupts the production of melatonin (hormones that help the process of sleep). The impact of this game are prone to depression. Research also shows that people who are repressed and it's melatonin rates hours her body confused by blue light exposure are more prone to depression. There is also the influence of this game is to finance i.e. can make people become more wasteful because it must always buy a quota of internet data. According to research, a mobile gaming legend that's more aggressive than people in General. Aggressive in question here is the feeling is easily provoked emotions. Earnest concern if this day humans had enslaved by technology. Our nation will lose the intelligent people because there is already a generation that does not have the spirit of learning again, drifting brought about by the influence of technology in particular games. But all such impacts could be addressed by a restriction in the use of game that could make a person forget everything. But I believe all these things there is definitely of his time.